" Zaragoza " on South William Street has all the credentials to be a hot spot on Dublin's Casual Dining scene . With a glassed-in open kitchen at the back , you can observe Chefs radiating energy as they cook. While the front boast a modern, yet casual decor , it is cosy and very comfortable . This new eatery offers a Tapas Menu , friendly service and live Spanish music at weekends, to get you in the swing of things. It was a Friday evening when we visited the restaurant and the place was buzzing . 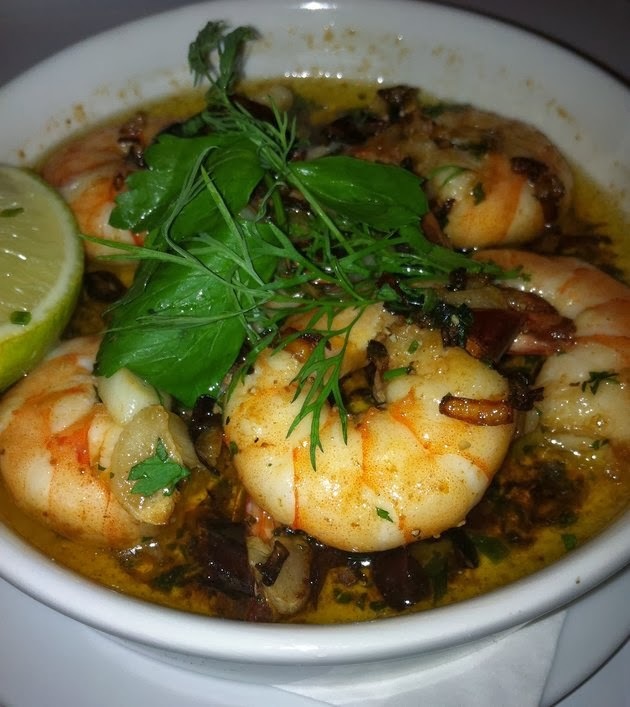 The menu doesn't divide itself into starters and mains, but rather into Fish , Meat & Vegetarian options . N in true Tapas style , your order arrives more or less , all at the same time . This is a meal to be shared with your favourite people , plenty of good conversation , forget the cares of the day , linger and tuck in Spanish style with a large glass of El Vino in hand . Spicy Gambas with lime & herb butter were served with a Mango & Papaya Salsa @ €11.95 were spot on . Succulent prawns, in a herd & Chilli infused oil brought a little bit of Spanish Sunshine to the palate, While the fruity salsa offered a welcoming respite from the heat. Some crusty bread helped to mop up all that deliciously fragrant spiced oil. Charcoal grilled fresh Tuna, Shallot, Tomato & Capers @ €21.00 with a balsamic vinegar of Modena reduction was served as it should be. 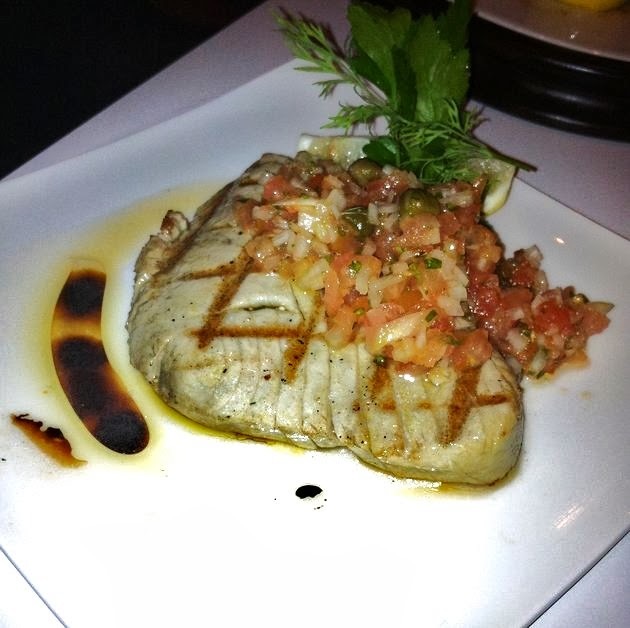 Beautifully seared and quite pink in the middle, it was perfectly seasoned and the salsa delivered a smack of freshness. 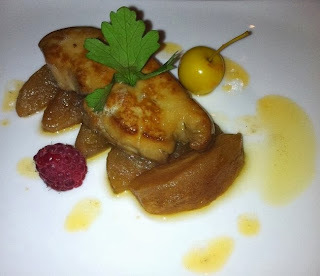 Sautéed Foie gras with Caramelised apples @ €9.50 was melt in the mouth. Five slivers of caramelised apples, while sweet, added a lightness and freshness to this dish and helped to balance out the richness of the foie gras. Great value at €9.50. Pan fried Scallops,Caramelised onions & Iberico ham @ €13.95 were delicious. 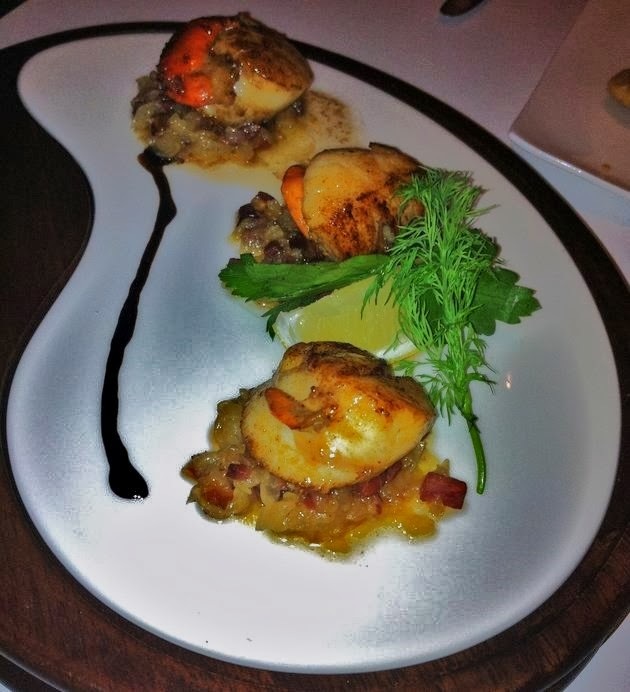 Sweet caramelised onions and ever so slightly salty Iberico ham cubes complimented the moist and beautifully cooked Scallops . A very tasty dish and the Scallops were generous in size . 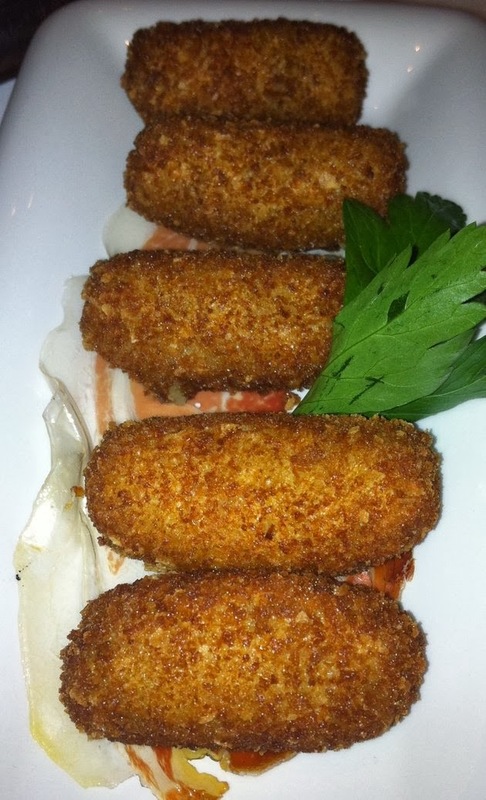 A plate of Iberico ham & Béchamel Croquetas @ €9.95 were very tasty morsels of velvety and savoury béchamel and salty Iberico ham in a crisp coating of golden fine breadcrumbs . It had all the must have of a uniquely Spanish experience . N indeed, no Spanish experience would be complete without the Floured Crispy Calamari with lobster mayonnaise @ €9.50 . 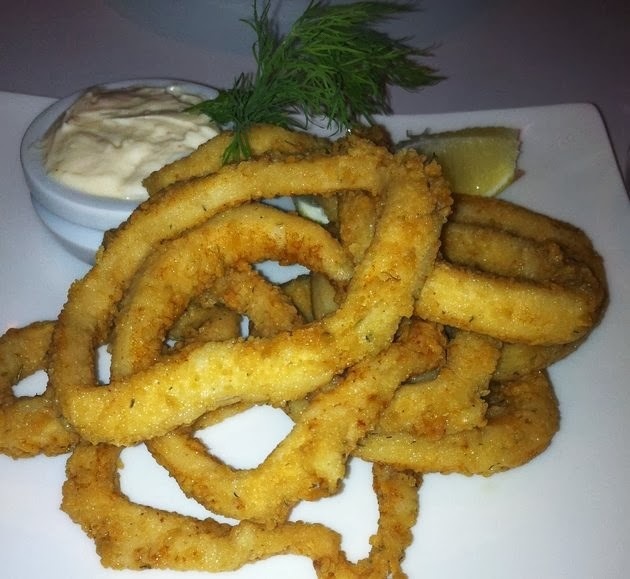 They were moist and very tender and indeed tasted exactly like the ones, I usually have in Spain . 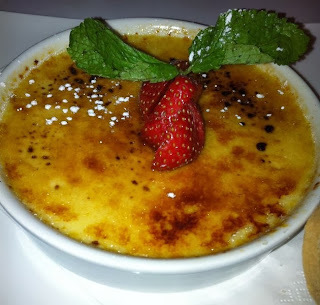 We concluded this Spanish feast with a traditional Creme Catalan @€6.50 . It was a light and smooth set creme, with hints of Vanilla and cinnamon beneath a thin crackling caramel top . Simple yet so delicious. 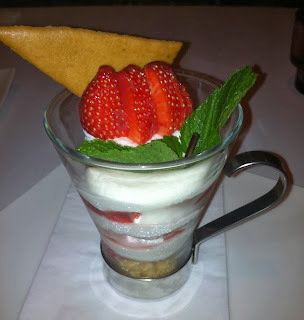 A Strawberry layered Cheesecake in a glass @ €6.50 ,wasn't far behind (with no added sugar, Ladies! ) . It was fresh and creamy, the marinated fruits providing enough sweetness on their own. A Cinnamon tuile biscuit brought this dessert to a grand finalé, for what was a most enjoyable and tasty meal.